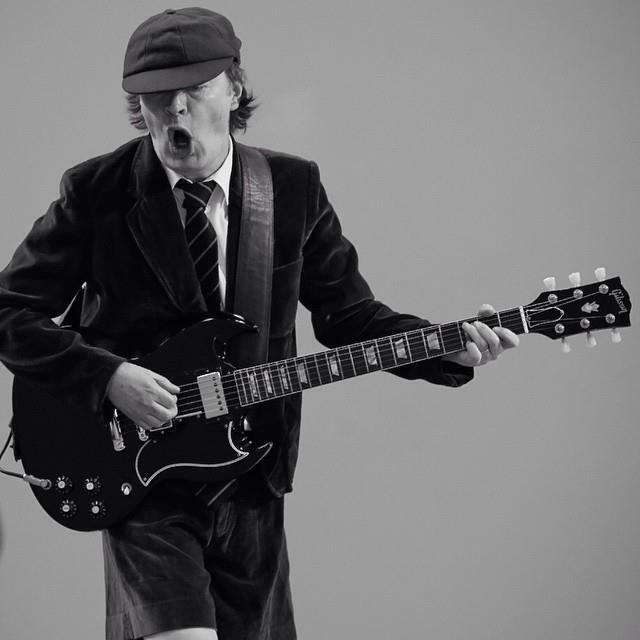 As AC/DC fans continue to speculate about the band’s plans for new music, a photograph of co-founder Angus Young at a Vancouver recording studio has surfaced. See Angus and Stevie Young at the studio via Newton’s blog Ear Of Newt. With four AC/DC band members now spotted at the facility, it remains unknown who might be handling bass duties during the possible recording sessions following the 2016 retirement of longtime member Cliff Williams.